We know that planning a wedding can be a hair-raising experience. There are so many factors to consider, from getting the grands there from the other side of the country, to whether the cake is going to be ready. The bridesmaids, the groomsmen, the transportation, the church, the flowers – it never ends. And then, there’s the band. It’s your wedding, so you’re anxious to hire a quality band that’s going to play the music you want to hear and keep your guests dancing at the reception. A lot of people have no idea what to expect when it comes to wedding bands and the costs involved, which is why we’re offering this post. If you’re wondering what affects the price of a wedding band, you’ve come to the right place to find out. Let CTO Artists break it down for you. How big is that sound? A wedding band can have as many as 10 people in it. At CTO, our bands often include horns and multiple vocalists. So, when you’re booking a wedding band, it’s important to know how many people are going to be on the stage, because that affects pricing. When the band’s in demand, it’s because that band has a reputation for bringing the right kind of noise. Bands who’ve been working together for awhile (like many of our bands at CTO) have developed a polished sound and stage presence. A band that’s of material quality wants to be paid according to its established professionalism. Just like traffic, wedding bands have a “rush hour”. Fridays and Saturdays are busy nights, especially in the summer. When bands are busy, prices are higher. If you’re planning a wedding, think about the timing. Bands have fewer bookings in the late winter and early spring, so you get a better deal when you book then. Where your band’s located matters, because travel time needs to be factored in. Wedding bands work long nights, getting to the gig and getting home. They may even need an overnight stay, if they’re coming from a distance and your wedding reception runs late. But how long the band plays matters, too. 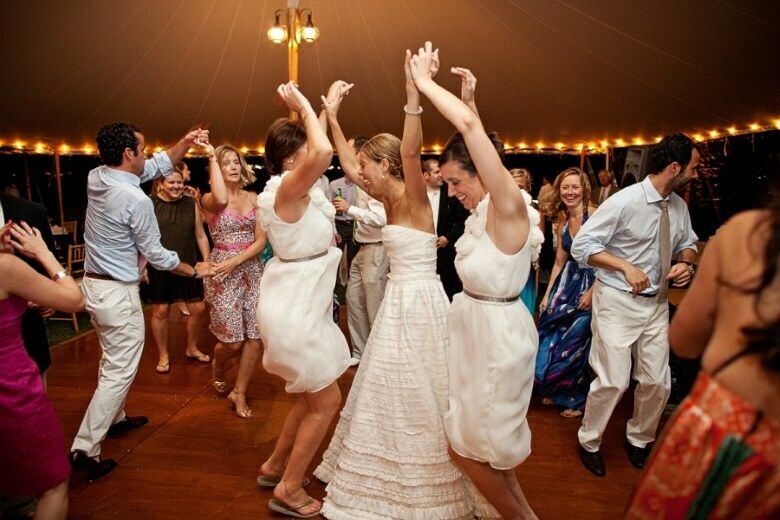 Famously, CTO Carousel once pulled off a 7-hour wedding reception. So, when you’re booking, timing is everything. The number of sets played and travel time need to be factored in. CTO – bringing you the best. CTO Artists has been in the business of bringing you exceptional live music for 30 years. Entertaining wedding guests all over the Northeastern USA, California, Florida and beyond, we’ve got 10,000 memorable events under our belts. Now that you know what affects the price of a wedding band, you’re equipped to do the math. You have a much clearer idea of how to budget for this line item when planning your wedding. Now all you need to do it reach out to CTO, so we can bring you best in live wedding entertainment. Contact us. Let’s talk about hooking you up with CTO quality.